Whenever there happens to be a schedule for some program or meeting or any other kind of office conduct the official way of informing the employees is the Company Memo. 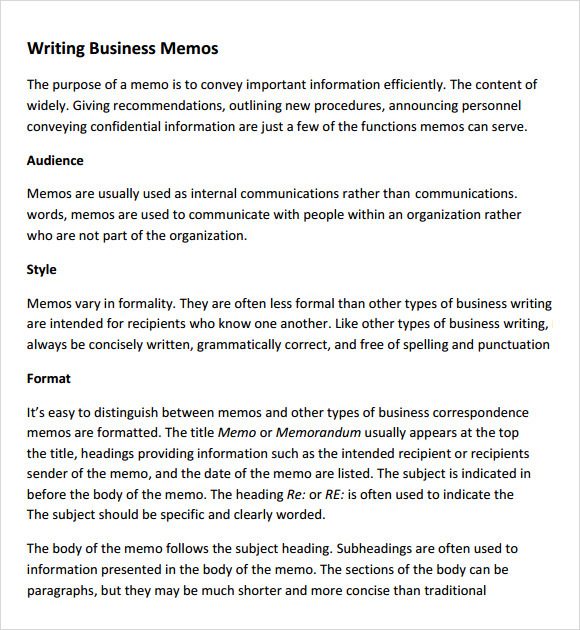 A company memo or a business memo is actually an established format of writing any kind of information to the company employees. This type of written material has a set format to be maintained. 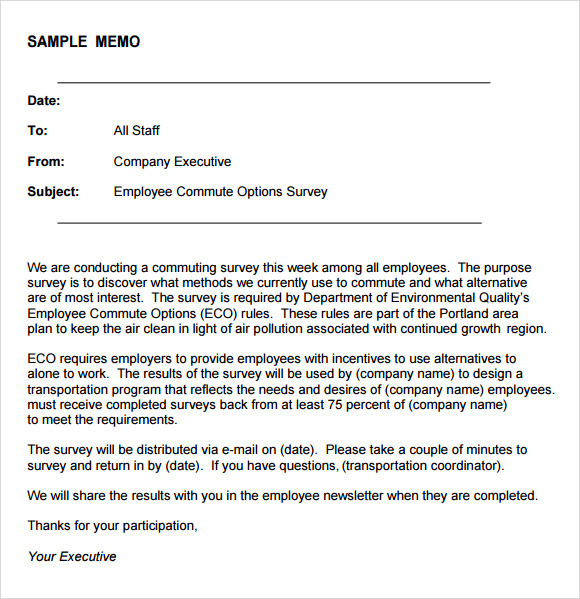 This type of company memo template works successfully to transmit office decisions, ideas, announcements, or requests within the company or between subsidiaries of the company. You may like Blank Memo Templates. 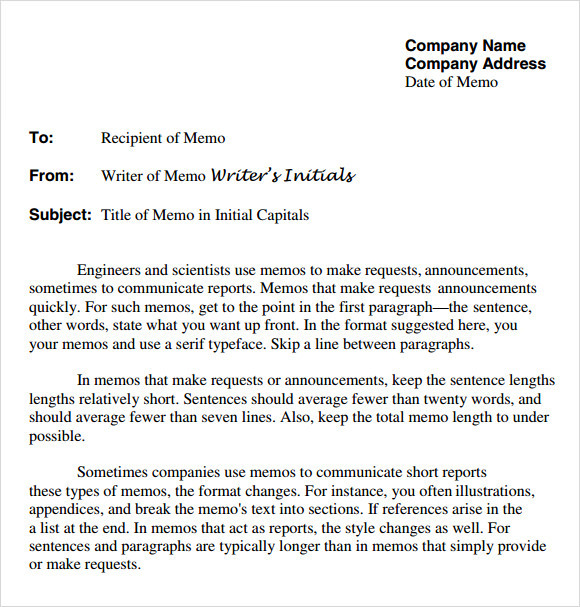 The business memo template starts with mentioning to whom this letter is directed and from whom it’s being directed, the date, and the purpose of the memorandum. 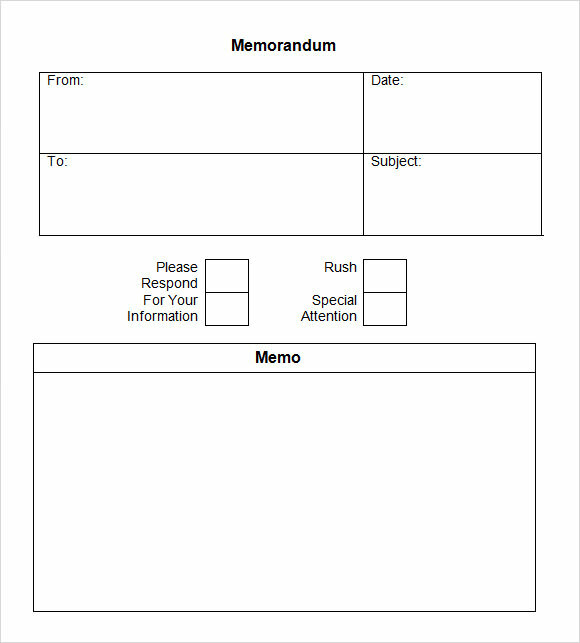 This business memo template is a very easy one to create and also for understanding of your receivers. It is available in both word and PDF for you to easily work with it. 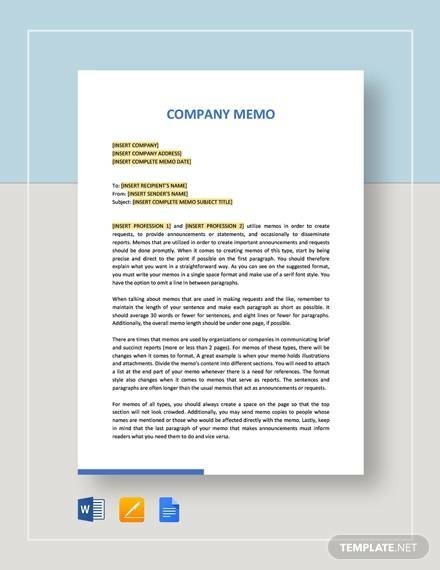 A company memo template generally is like a letter where the company name, address and date of the memo is mentioned on the top and the recipient name is mentioned in general to all who is receiving the memo. This template is a short and crisp one only transmitting the message to the destined ones. 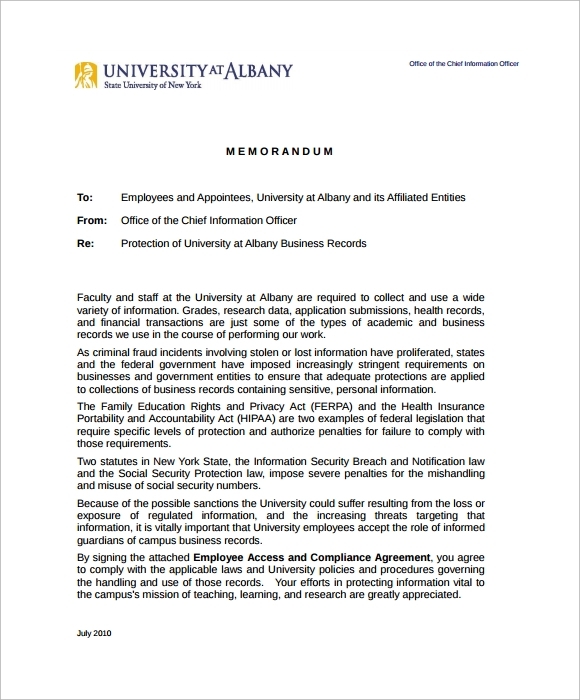 A memorandum letter to an employee may be to solve several purposes like warning or reminder for an issue or disciplinary matters. It is a simple letter like format which involves not much hiccup of words or phrases. 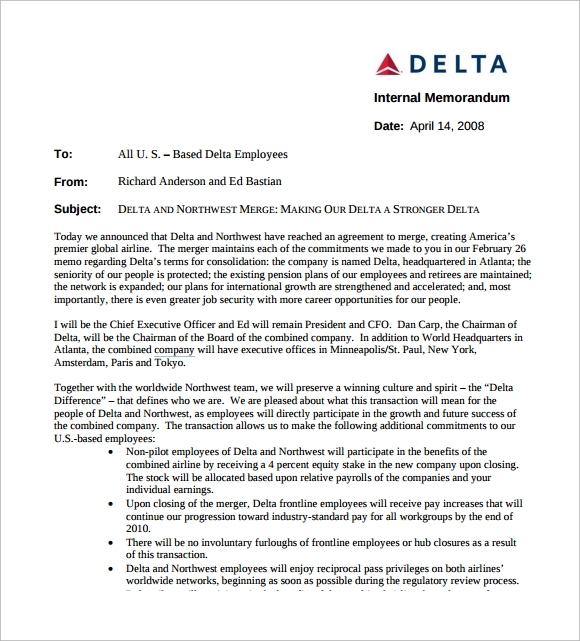 This Employee Memorandum Template may be directed to any single or a cluster of employees at a single stance. Who are the audiences of Company Memorandum? A memo is generally written to communicate a piece of information or announcement for an intended group of audience within the company. It may also be directed to the company subsidiaries. This is actually used for internal purpose and is not directed to those who are not a part of the company. 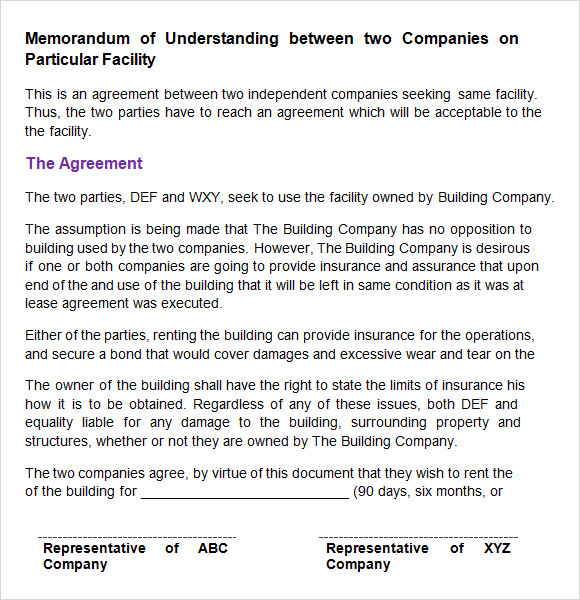 How to Write a Company Memorandum? There is a typical format followed by the memorandum which distinguishes it from other forms of writings. It starts with a title at the top of the page followed by headings of the memo, to which it is directed and from whom it is coming along with the date is mentioned. Followed next come the body which can be again organized into subheads for more concise and précised informing process. You may also like Meeting Memo Templates. What Are The Benefitsof a Company Memorandum? This type of communication in an office setup diminishes the expense pertaining to it. It works as effectively as a meeting would have done with a much higher expense. It is more evidential than an oral communication happening in a meeting. You could easily keep a record of what you have communicated through a memo. A company memo letter is a very good option to work as a timeline snap for you to keep a track and understanding of them. The delivery of a business memo is easy and assured so it gains much importance in business world. We have tried to jot a few such Company Memo Templates which could be handy for you in making your meetings and programs controlled and successful.